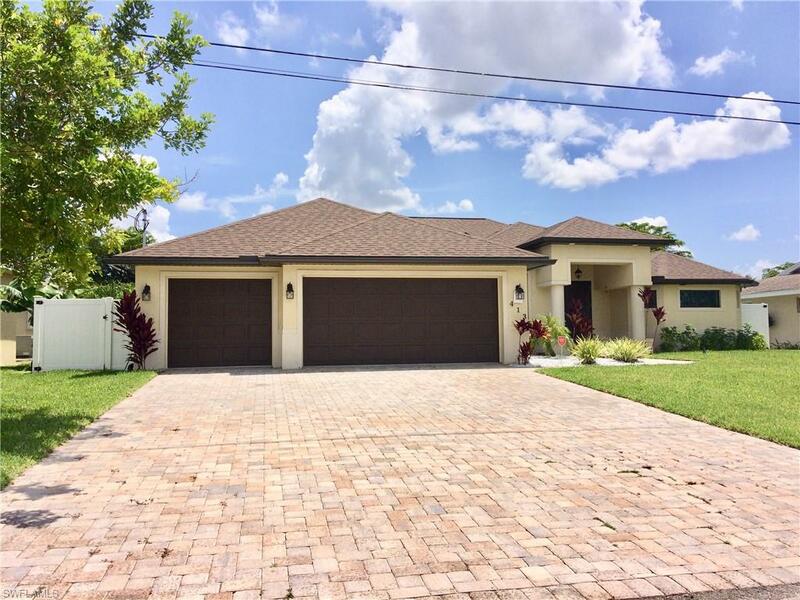 413 SE 9th Ave, Cape Coral, FL 33990 (MLS #218059974) :: Clausen Properties, Inc. Welcome to your private paradise at Villa Oorah! This solar electric home with a open great room concept offers 3 bedrooms, 2.5 baths (Pool bath), den/play room and large screened in lanai. The Large Master bedroom has access to the lanai, a flat screen TV, walk-in closet, large on suite master bath with 2 vanities, separate toilet and a huge walk-in shower. 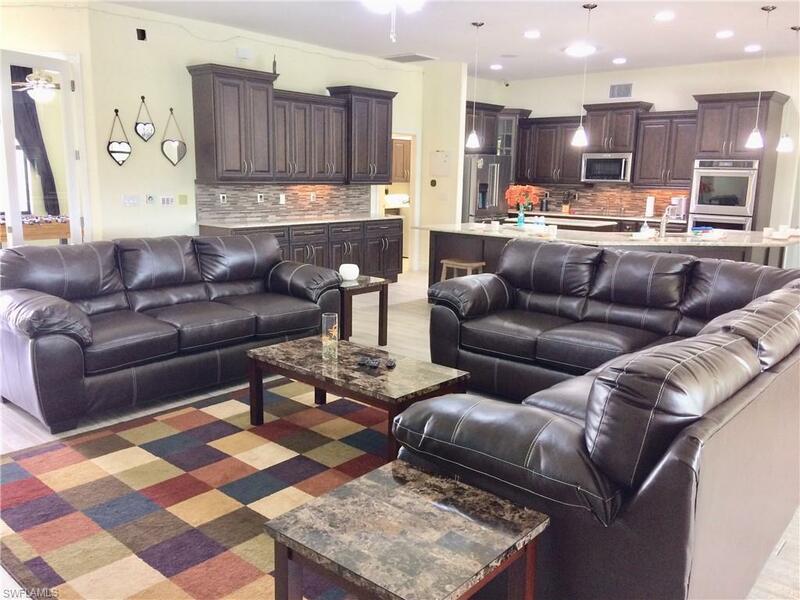 The living room also offers a large couch and flat screen TV with sliders opening up to the lanai and the large kitchen is great for your making your vacation meals. 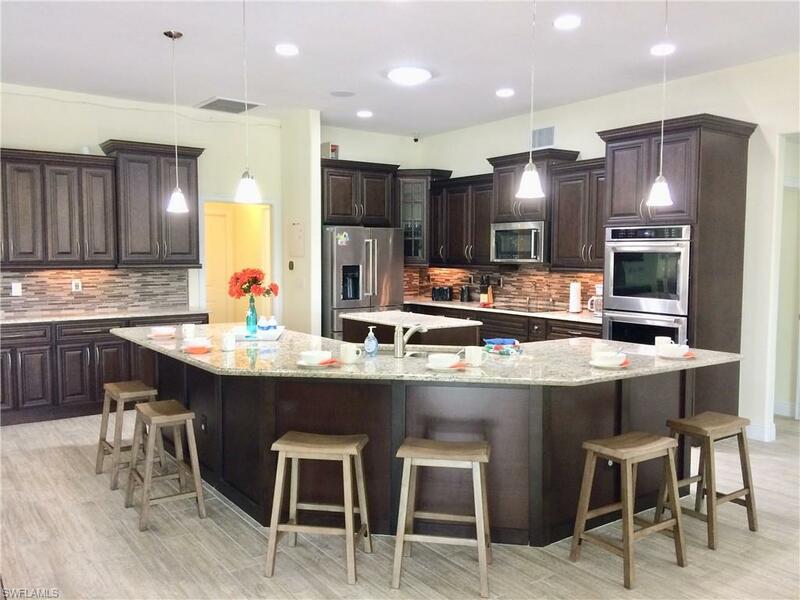 Dine at the breakfast bar, dining area or lanai. The den/play room, offers a desk and fuss-ball table. Off the kitchen are 2 other bedrooms. One queen bedroom with bath/pool bath and Flat screen TV and the 3rd bedroom has 2 Full size beds with flat screen TV. The pool area offers plenty of space for dining and lounging. It also is equipped with an outdoor kitchen with gas grill, gas burner, small refrigerator and sink. The Heated pool offers a Table and for small children there is a baby safety fence. 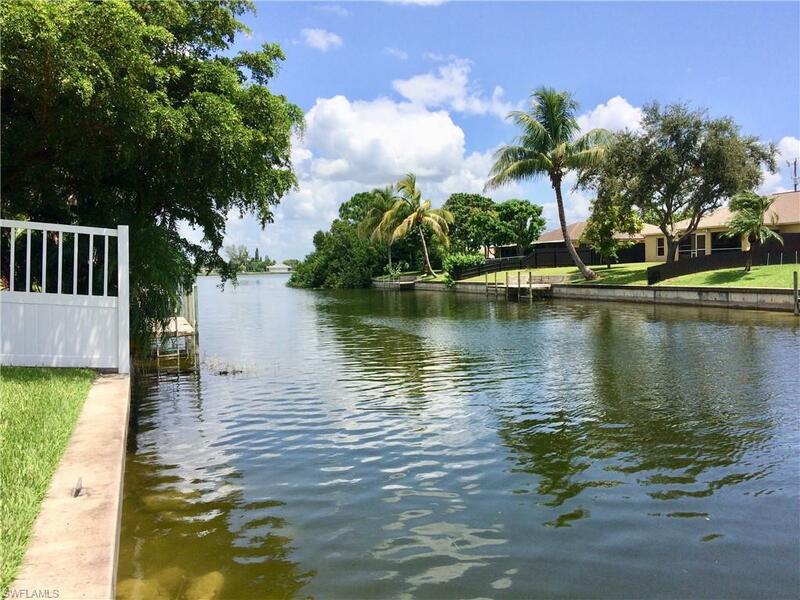 Enjoy our extensive fresh water canal system with access to several lakes and waterways or fish from your own the dock. We look forward to having you as our guests.